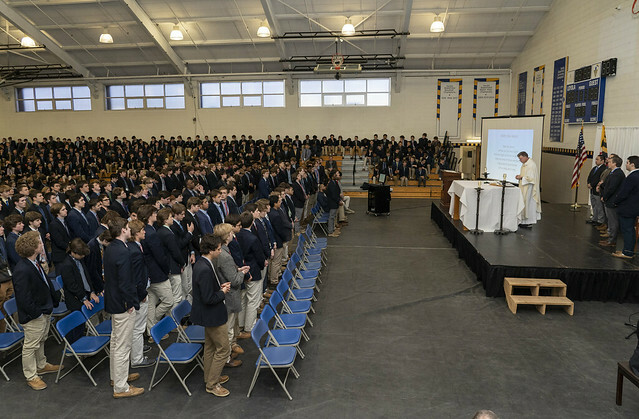 We gathered as a school community on Friday, January 25, to celebrate our annual Junior Missioning Mass as the hands of the Class of 2020 were anointed with oil, signifying their task to serve God and the community by fulfilling their service requirements for graduation over the course of the next year. In his homily, Fr. Steggert stressed that these acts of service are not meant to just represent another tally mark for graduation, nor are they meant to change the world. They are meant to serve as an avenue for our Dons to act on their faith.